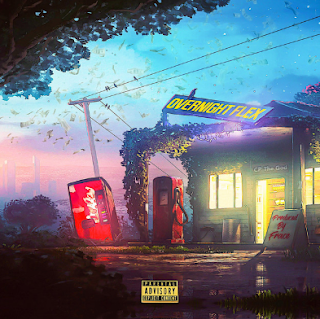 WeStayChill: CPTHEGOD - "Overnight Flex"
Texas has long been one of hip-hop's hot spots, churning out loads of talent from Paul Wall to Travis Scott and Post Malone. One of the newer names starting to make noise is CPTHEGOD, a promising artist who just released his latest album, entitled 'Overnight Flex.' It's a well-done project on which he glides across a slew of killer production from Frace, who laces CP with the ideal soundscapes perfect for his unique sound and style, blending together for a memorable listen from start to finish. Be sure to look out for more from him soon, as he's just getting started. Check it out via Spotify now.